Founder and Creator of Art From The Gourdvine is Peggy Barth. Native to Northwestern Oklahoma, Peggy attended Oklahoma State University where she received her Bachelor of Arts Degree. 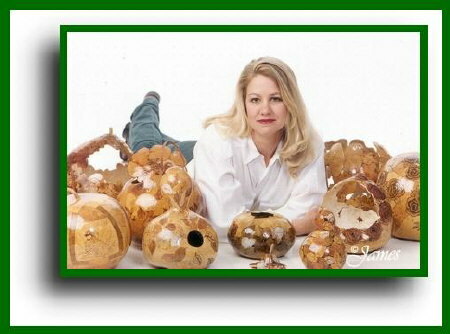 Peggy has been using gourds as her artistic pallet for almost a decade. She personally selects each gourd from her own vines. She uses a variety of gourds, including birdhouse, bushels, bottle and native gourds. Like the gourds themselves, each final project is a one-of-a-kind creation.